It’s difficult to choose a favorite flower, but my yellow hibiscus produced one glorious bloom whilst I was home in Cyprus, so this had to be my photo for the September challenge….the header photo of a purple tradescantia seemed to complement the colour scheme of the post! 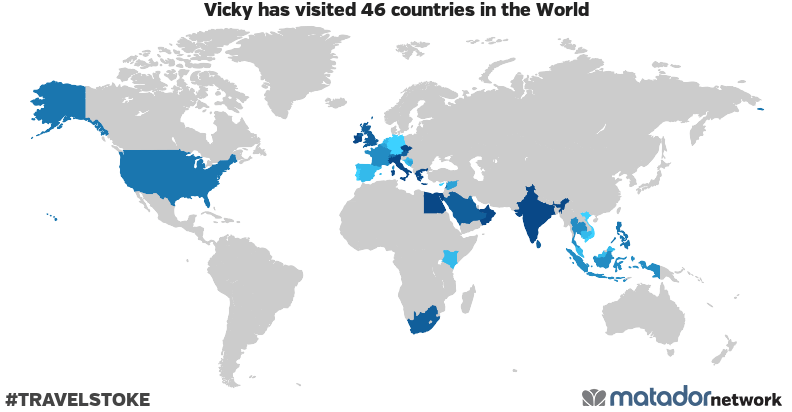 Fantastic, Vicky. I love the leaves too, but I have to ask are they always like that or are they telling you they need trace elements or something? Hmm, I don’t often see them as I’m not often in Cyprus yet, but the flowers do always look like that…However tell me what you are seeing that makes you think a dose of something to perk them up is needed…. It is the dark veins in the leaves which are otherwise more yellow green. I would expect a hibiscus’ leaves to be solid green. It may be the variety you have – ask a local nurseryman, would be my advice. The complementary palette makes this image even more lovely.